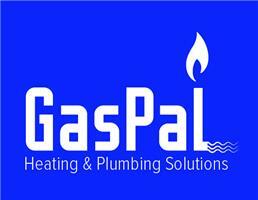 GasPal Heating & Plumbing Solutions - Central Heating Engineer, Plumber based in Colchester, Essex. Welcome to GasPal Heating & Plumbing Solutions. GasPal Heating & Plumbing Solutions work alongside HomePal as a family run business, we are brothers with a passion for our trade. Please feel free to look at both of our page and get in touch. Established in 2013 by myself Wayne Cummins, after working for various companies within the industry, I felt I could offer a much more reliable, honest, professional and approachable service, we are a family run business, and have steadily grown a reputable customer base. We pride ourselves on turning up when we say we will and being on time, working with integrity and good communication, you’ll receive a phone call or SMS message if we are running late, and an hour before we are due to see you we will send a SMS message to confirm our appointment. It is important as you the customer knows where you stand – see our rates page for further details) there is NO call out fee. We offer a 12 month guarantee on labour and, materials are covered by the manufacturers guarantee. Whether the job is small or large, you the customer will receive the same professionalism throughout the work, our aim at GasPal Heating & Plumbing Solutions is to keep you as a customer, for life not just to earn a quick pound note, your house will be respected at all times and kept clean & tidy. There is NO call-out charge for Emergencies (See Pricing page for details) we aim to be with you within two hours. We offer free quotations/estimates on all aspects of Plumbing and Central Heating, if you require any of our services please do not hesitate to get in touch. Thank you for browsing GasPal Heating & Plumbing Solutions.